Ascension has named Dr. Joseph Cacchione, a former Cleveland Clinic executive, president of its provider organization. In the newly created role, Cacchione will oversee a network of 6,500 employed providers across 16 states. The Ascension Medical Group focuses on the advancement of health outcomes, patient experience and affordable care, Ascension said in a statement on Tuesday. Cacchione was most recently chairman of operations and strategy for the Cleveland Clinic's Heart and Vascular Institute. In this role, he oversaw the transition of incoming physicians from independent practices. 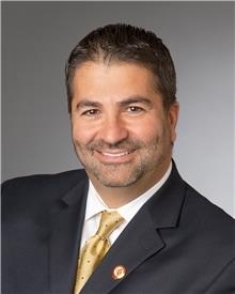 Prior to joining the Cleveland Clinic in 2009, Cacchione was executive vice president, and chief of quality & operations at Saint Vincent Health System in Erie, Penn. from 2004 to 2009. During his tenure, he oversaw the development of a number of service lines including orthopedics, oncology, neuroscience and cardiovascular. Cacchione is trained in internal medicine, cardiology and interventional cardiology. Ascension, the nation's largest not-for-profit hospital company, reported income from operations of $380 million on revenue of $11.4 billion in its fiscal first half ended Dec. 31. That compares with operating income of $311 million in the year-earlier period on revenue of $10.7 billion.